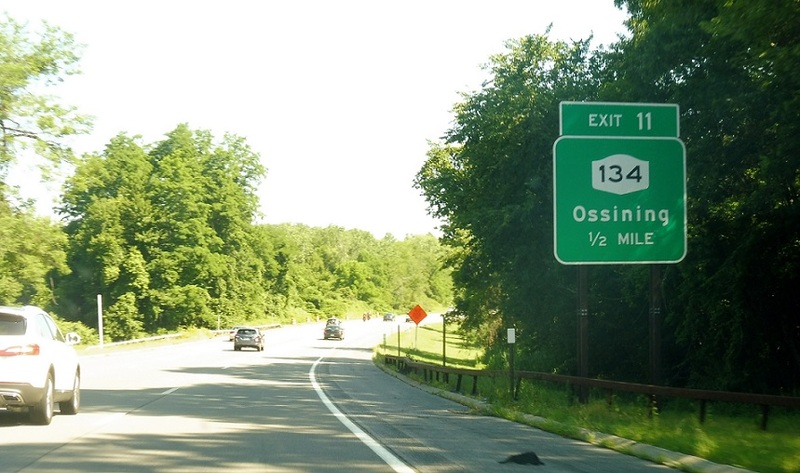 A couple miles after the 100/133 junction, we’ll approach NY 134. 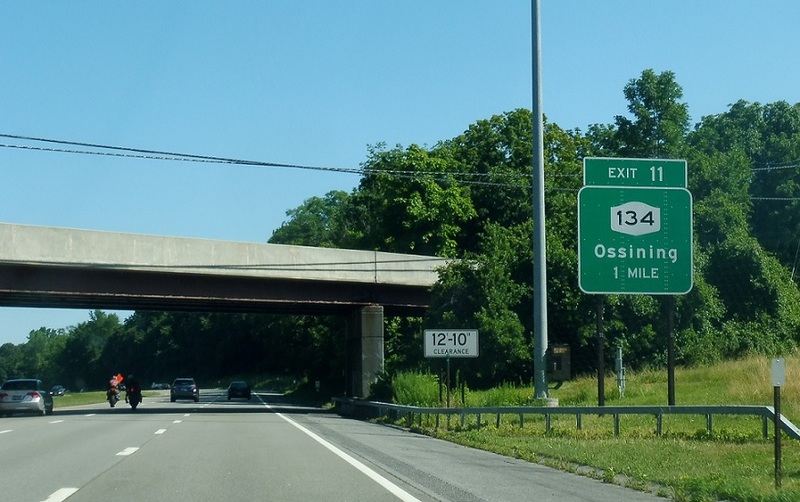 1/2 mile to Route 134. 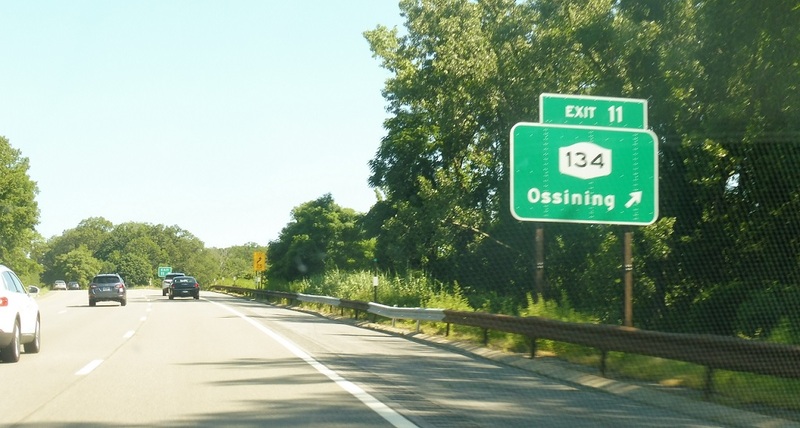 Exit for 134, which heads west to Ossining and east to Kitchawan.